Can You Carry Into Someone Else's Home? When you're in your home, you're master of your domain. So long as you pay taxes and follow the law, the government pretty much leaves your home alone. Put yourself in those shoes for a second and now think about when you invite folks over. Whether it's a backyard barbecue or your wife's in-laws, you probably would want to know who's armed. It's not that you don't trust them or don't like them, it's just a little situational awareness for you. In this article, we'll do a quick crash course in concealed carry etiquette when you're in someone else's home. Ultimately, you decide how the rules will play out but we'll do our best to inform you of the who's, what's, where's, and why's of choosing to inform or not. It's a simple thing, really. When you step foot on another person's property, be mindful of their stance on you being armed. If you don't think they would like you being in their home with a gun on your person – for whatever their reason – don't. How do you know? Ask. Some state's even have it codified in their laws that if you're in someone else's house, you have a duty to inform them if you're carrying. As we don't know which state you're living in, we can't say with definitive certainty if you're living in one of those states. If you're real curious, look it up or better yet, talk to an attorney. 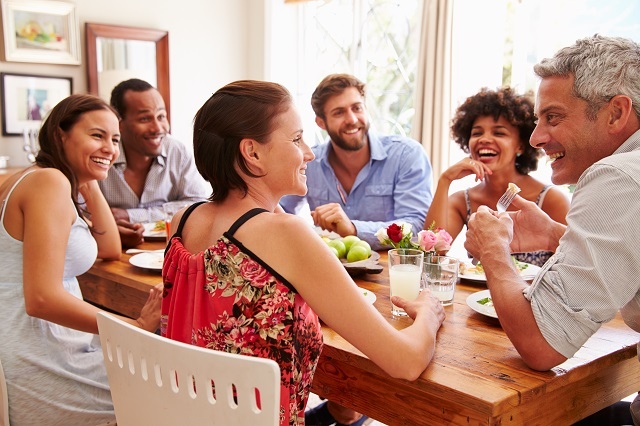 When you show up to someone else's home for a get-together, it could just be for a game of friendly poker or to talk about insurance plans. 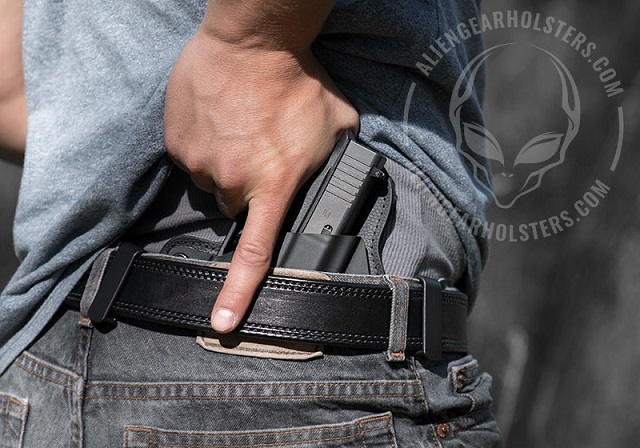 If you're not certain of the company in that home, and you're reasonably sure you're not violating the wishes of the homeowner, go ahead and keep that handgun in your concealed inside the waistband holster. This is especially big with people who do door-to-door activities or make house calls. Plumbers, electricians, insurance salesmen – you all have a decent reason to want to stay safe while interacting with business clientele. Ultimately, though, you don't need a reason for wanting to ensure your own personal safety. This is always an uncomfortable topic but it needs to be put right out there: if you're asked to leave another person's dwelling or property, please do so. As a responsible concealed carrier, you don't need to be in the business of apologizing for being armed, but you do need to be cognizant of a homeowner's discomfort with it. This won't likely be the norm. But outside of social etiquette, it's also the law. There's nothing wrong with trying to talk down confrontational people – in fact it's a sign of someone who doesn't want to see anyone get hurt and that's something we'd hope all concealed carriers would be on board with. Please be aware of where you are in the midst of this potential altercation or fight about to break out. Do not get in the middle of two folks about to get into a round of fisticuffs. You're free to call the police or leave or any other action but do not put your firearm in proximity to any place where it can be inadvertently discovered or pulled by a third party. Some people have asked us to write articles about how to go to the bathroom with an IWB holster on. It's really not that hard. The point of this is that if you're going to be in another's home, keep the gun on you at all times. Do not let it leave your body. If you're sleeping over, do your very best to keep that firearm within your direct vicinity. Keep it concealed.